Instant Support FAQ: I only see a blank page with icons and no archive history is showing. I only see a blank page with icons and no archive history is showing. Instant Archive Viewer will not work using anonymous authentication. Please double check if anonymous is unchecked in Directory Security tab after right clicking the ITIMArchiveviews website. 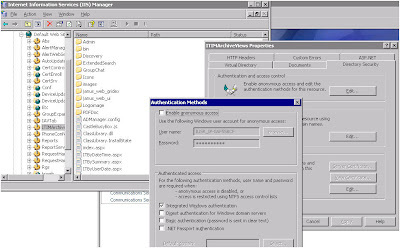 You should only have Windows authentication selected in IIS for ITIMarchiveviews.